I recently had a chance to spend 48 hours in Atlanta. Since it was strictly for business, I didn’t have much time for recreation. Any fun I had would come in the form of a tasty beverage following a meal following a session in the hotel gym. This was my first time in Atlanta; a co-worker described it as a generic southern metropolis. I was extremely pleased to find out that this is not actually the case. With very little time or effort, I found local flavors all within walking distance of my hotel (it’s fair to admit that my walking distance might not be yours – on a recent trip to New Zealand, I averaged more than eight miles of walking every day). 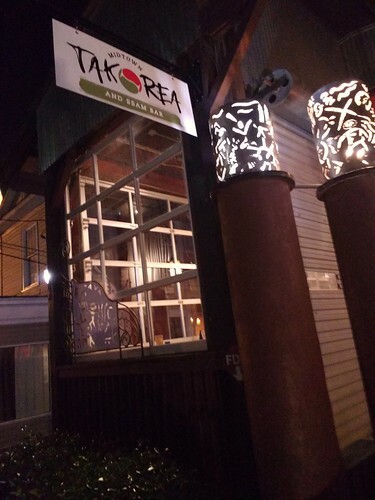 Mexico and Korea collide in all the right ways at Takorea. If you ever travel for business and wind up in Atlanta, especially in the Midtown area, here are a few places you should visit in Atlanta in the hours before or after your work activities. I am generally the last person to hop on the fusion of cuisine. It took me years before I gave a Vietnamese-meets-Mexican place near me, and I felt foolish once I discovered how much I liked the food – even if it wasn’t exactly authentic. With that experience in mind, I made a snap judgment on this Korean-meets-Mexican place. Good move. The Uber Bop bowl at Takorea was loaded with banchan, pork, an egg and just the right amount of spice. Finishing it was a challenge, but I gladly accepted. You might also do well with the bulgogi quesadilla. I also found a fairly impressive list of local beers, both on draft and in cans/bottle; the server recommended the Blind Pirate Blood Orange IPA, which went nicely with the heat from the Uber Bop. The service is also very friendly, but in a genuine way rather than “the corporate suits will fire me if I’m not sugary polite” manner. In short, I’d take Takorea home with me in a second. 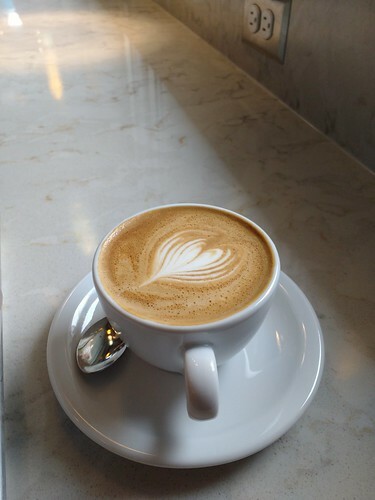 I always look for a real cappuccino when I travel. And no, Starbucks doesn’t count. That was the reaction I got both times at The Dancing Goats. Both times, the cappuccinos were of solid quality. They were definitely a quantum leap past a Starbucks cappuccino. I’d place them in the top 20 percent of caps I’ve had, but they wouldn’t get into the top 10 percent. That’s still a solid performance. I wouldn’t recommend their donuts since they’re a bit on the dry side. Dancing Goats is roomy and has reliable wifi sans password. And yes, they have water for the taking and the staff is very personable and talkative (as long as it’s not the morning rush). After arriving, checking in and getting dinner, following Google Maps to The Torched Hop was my first priority. 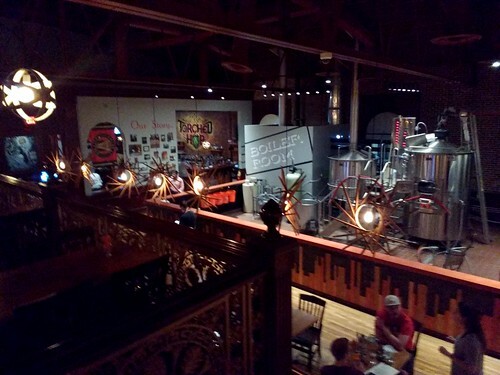 This is nothing less than an absolutely perfect local brewery – from its open, airy space to its mix of brewed-onsite and guest selections, it’s the sort of place that would be my Number One choice if I lived in Atlanta. You can check my Untappd profile for evaluations of everything I tried in my flight and beyond. I’d have to say, though, that the flagship Hops-de-Leon IPA was my favorite. The biggest surprise was the Holy Citramony; I’m typically not a lager fan, but this IPL was carbonated perfectly and actually packed with hops. The service is largely DIY: I would go to the bar when I wanted something. There did appear to be table service and desserts, but I didn’t take advantage of either of them. Maybe next time. Next Could Your Hotel Room Key Card Work on More Than One Room?